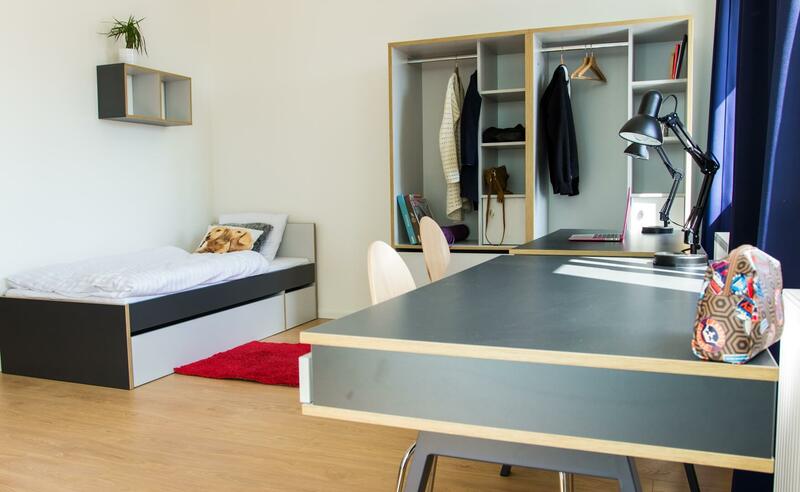 Several accomodations in Prague could be options for freshmen students. As these are suitable housing options for many newcomers to Prague and availability may be limited, it is important to book a room early. PLEASE NOTE: The student will be able to pick the type of room, but building management places the student into an available apartment. These accomodations are not student dormitories. Two completely renovated residential buildings, ideally located, just 100m from UNYP. Students can choose one of 73 single or double rooms. The area, size and number of the single and double bedrooms (2 beds) apartments vary. The capacity of both buildings is 25 apartments totaling up to 120 beds. Services included: all the utilities (electricity, water & heating), Wi-Fi connection, cleaning of common areas and maintenance, elevator, waste collection, mail boxes, confirmation of accommodation for visa/residence permit purposes, student welcome package (bed linen, bed-sheet, towels). Monthly cleaning fee is NOT optional. Students are required to have a mandatory cleaning of the room/apartment once per every month and pay a cleaning fee of 500 CZK/month/person + VAT. Services not included (available at the extra charge in the housing complex): Café-Bar located on the ground floor; restaurant located on the ground floor; indoor parking with 29 mechanized parking places; laundry; possibility to arrange a cleaning service for your room/apartment at an extra charge. For reservations, please contact info@belgickaapartments.cz (current students) or admissions@unyp.cz (new students). Accommodation in a single or double room in a newly renovated residential building close to UNYP, as well as, to the city center. The price includes all the utilities (heating, water and electricity), high-speed internet, refrigerator in each room, cleaning services for the common areas and bed linen change every 2 weeks. Students are responsible for the cleaning of their bedroom, but there is the possibility to arrange a room cleaning service for an extra charge. Located in a residential area of Prague 10, SHB is close to the public transportation, and close to the city centre and I. P. Pavlova area. It is a renovated residential building designed to accommodate 160 students in 92 rooms total: single, twin and double. There are double rooms available for disabled persons. 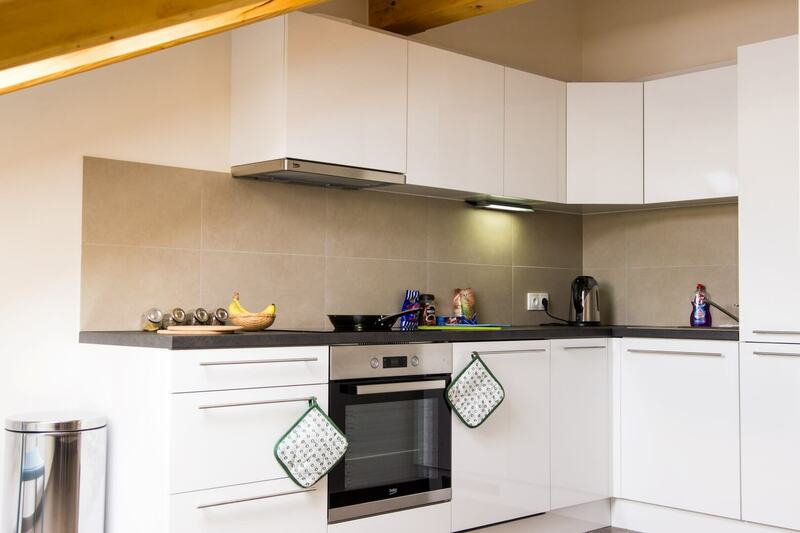 The price includes all utilities (heating, water, electricity), 24/7 reception, high-speed internet, fridge in each room and common areas cleaning. Students are responsible for their rooms cleaning, possibility to arrange an extra charged room cleaning service. Available in the building: kitchen for every 12 rooms, study rooms, storage room (bicycles, skis etc. ), fitness, student club, laundry, mail box. Accommodation in single rooms in a renovated building, located in a quiet environment and providing students with all the services necessary for study and relaxation. DC Rezidence is part of a sport relaxation and gastronomic complex, which provides a wide range of services (restaurant, sport academy, wellness, room for bicycles, laundry etc.). 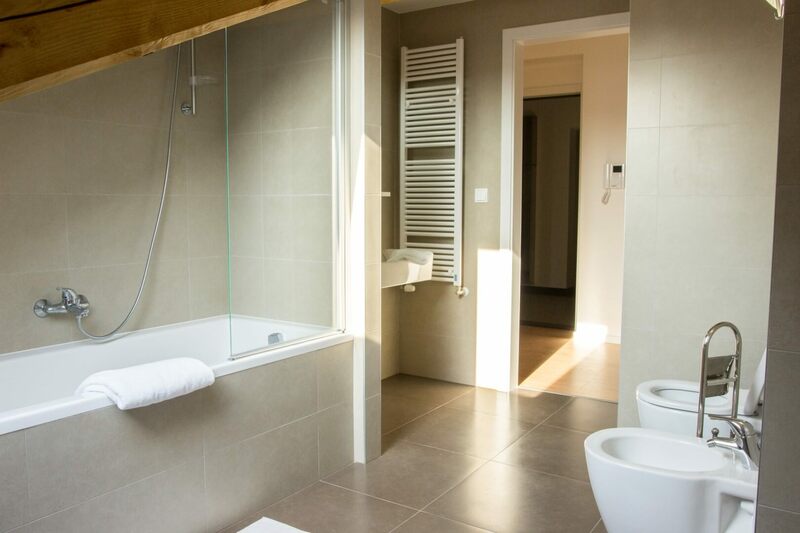 The price of 7,300 CZK/person/month includes heating, water, 24/7 reception, high-speed internet, refrigerator, a change of bed sheets every 14 days and parking.